International support is vital for countries like Bangladesh to make the shift to inclusive education ensuring education for Rohingyas living in Bangladesh, said a new global report on Tuesday. Bangladesh, along with Malaysia and Thailand, has not ratified key treaty commitments to non-discrimination, says the report. Without this legal status and protection, Rohingya children are often denied access to education. Instead, education for refugees continues to be in separate, community-based or private schools, which may or may not be certified. 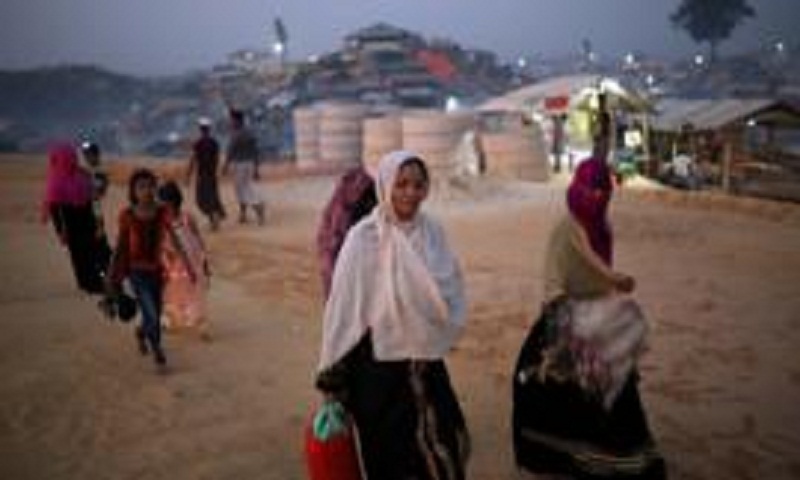 The report cited the government’s reluctance to support non-UN agencies providing language services during the Rohingya crisis, a key element for inclusion. Globally, only a third of the funding gap for refugee education has been filled. Had the international community used only humanitarian aid, then a tenfold increase in the share education receives would have been necessary to meet refugees’ education needs, says the report. The report called for development aid to help fill the gap and provide much needed long-term and predictable resources to national education systems to support refugees and host communities. Director of the Report Manos Antoninis said considerable changes are being made in countries from Chad and Uganda to Lebanon and Turkey to let refugees attend school alongside with nationals, which they are not yet seeing in Bangladesh, Pakistan or Thailand. “Positive steps were taken to list education as an intervention area for the first time in 2016, but the government must now lead on that initiative and stop treating refugees differently,” said Antoninis. Antoninis continued: “Bangladesh is signing up to the two new global compacts on refugees and migrants which shows that they recognize education as an opportunity. We hope this will be a much-awaited turning point away from discrimination in education”. Mass migration to slums has left millions without basic services, including public education in Bangladesh. Out of school rates for children and adolescents in Bangladeshi slums in 2016 were twice as high as in other urban areas, says the report. A slum settlement survey in Dhaka, Bangladesh, showed that there were fewer than 300 government primary schools in slums, and only about one-quarter of slums were estimated to have a government school. These needs are going to grow, says the report mentioning that a government census showed that, between 1997 and 2014, slums increased from 3,000 to 14,000. Globally, the 2019 GEM Report estimates that there could be 80 million more children in slums, equivalent to 2.6 million classrooms of children by 2030. In Bangladesh, more than 2.6 million rural migrant workers are employed in construction outside the agricultural seasons in 2010. Such seasonal migration can disrupt education and expose children to child labour and workplace hazards, forcing them to leave school. Earthquakes, storms, floods and rising sea level damage 900 schools each year in Bangladesh, on average. A household and school survey around the time of the 2004 flood showed that, while 30 percent of schools closed at some point because of flooding, about 15 percent closed for two weeks or more. Affected schools were closed an average of seven days more than in the previous year. On days affected schools were open, attendance was one-third lower. The report praised the government’s aim to make its education systems prepared and responsive to such disasters. The report recommended protecting the right to education of migrants and displaced people, include migrants and displaced people in the national education system, understand and plan for the education needs of migrants and displaced people and represent migration and displacement histories in education accurately to challenge prejudices. The report suggested initiatives to prepare teachers of migrants and refugees to address diversity and hardship, harness the potential of migrants and displaced people and support education needs of migrants and displaced people in humanitarian and development aid.